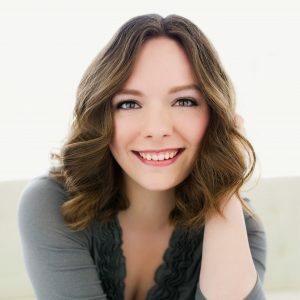 So thrilled to feature one of the nicest and most talented people I’ve ever met today – Emily Ellenberger, the artist behind Natural Nifty! 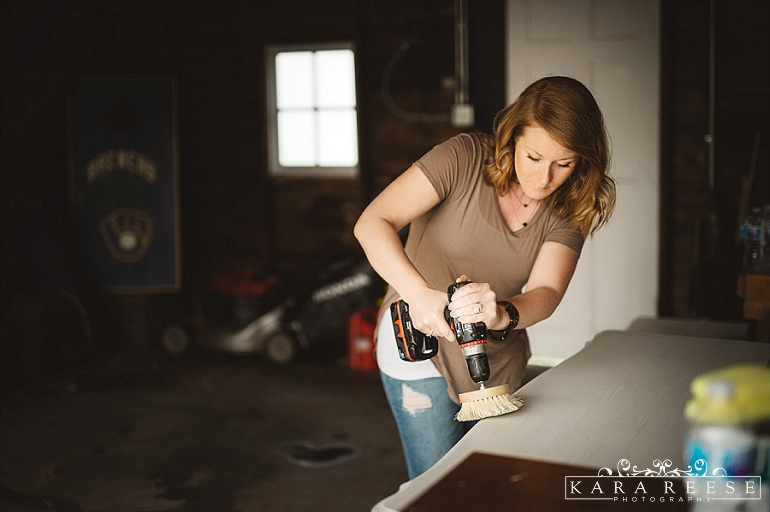 Emily takes old or worn furniture pieces and breathes new life into them. 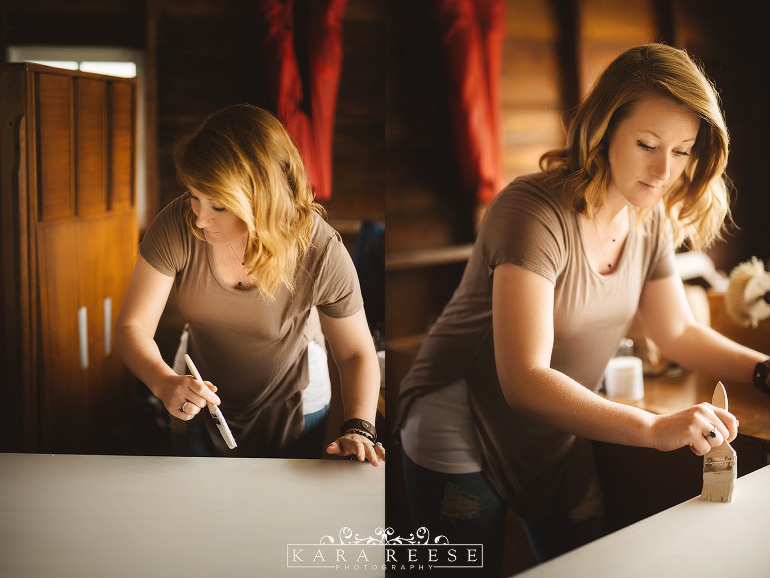 If you’ve ever been to my studio, chances are you have seen her work. I’m up to 5 “Natural Nifty originals” in my space – and I always want to buy more whenever I see her new projects pop up on Facebook! Her rustic yet elegant style is right up my alley, and many others’ as well. I have a BFA from UW-Oshkosh, and have always appreciated art in any form. I’m mostly passionate about photography, painting and interior design- with interior design being my absolute favorite. It wasn’t until my husband and I bought our first house, that I realized that my high end design taste was not quite in our budget. I figured if I can’t afford brand new, I would refinish old furniture to look just like ones I saw in design magazines. I had an art degree, but had never painted furniture before. So I tackled my first piece which was an old, hand me down dining set. I fell in love with painted furniture after that moment. 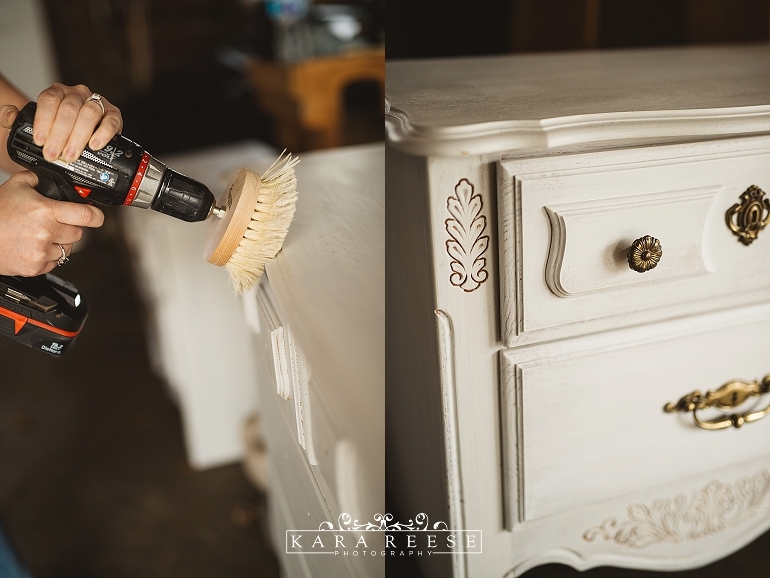 I painted furniture as a hobby for about 6 months, until I realized that I could actually make a career out of it. Another 6 months had passed and I started offering my design advice in my clients’ homes. So I quit my day job and jumped into the world of entrepreneurship. I have never been happier. And I feel extremely blessed to have stumbled upon what is now my interior design business. Art is so uplifting and inspiring in a world that can be dark at times. When I’m creating, I’m not worrying about anything. I’m just “in the zone”. It’s therapeutic and is good for my soul to allow my creative colors to shine through. What does a typical day look like for Emily? Usually my days are quite random. Most mornings start with coffee, fruit and surfing online for furniture pieces, and researching interior design. I’m obsessed with Houzz, HGTV, and Pinterest for my inspiration. During the summer, weather plays a big part in when I start painting. In the winter, I always paint inside. Days that are over 40 degrees, I try to reserve as sanding days in the wintertime. I’m not a fan of the cold! When I’m not painting I’m usually arranging pick up times for furniture…for clients and for myself when I pick up a new piece. 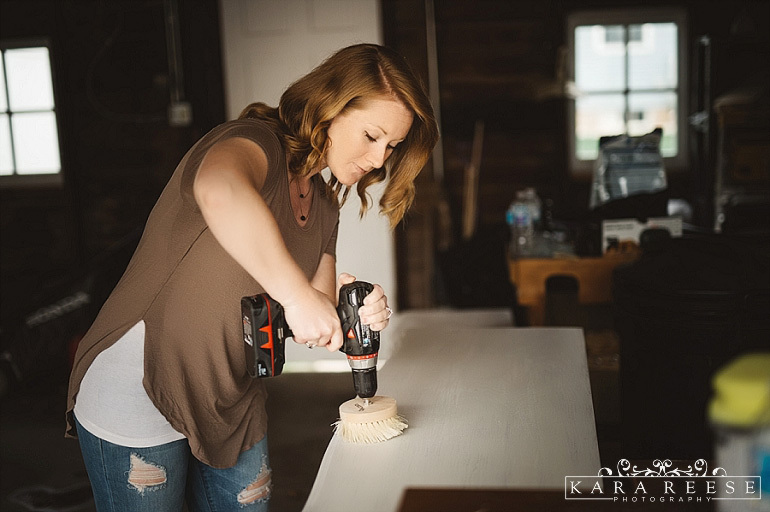 I also can be found giving interior styling sessions for customers, which are in- home, interior design consultations in which I help my customers make the most of their space in terms of functionality and aesthetics. 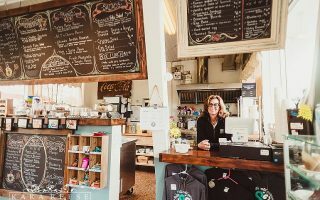 Her favorite part about running her business? Working in yoga pants! Oh, and my dogs are pretty awesome coworkers!! But On a serious note, my time is extremely valuable. When I’m working for myself, I know that each minute is being utilized to the fullest. And each minute I’m working is time spent doing what I love. Social media outside of Facebook. Still working on it! I was born in Waukesha, so I love supporting local! I love downtown!! It’s centrally located and people are super friendly. 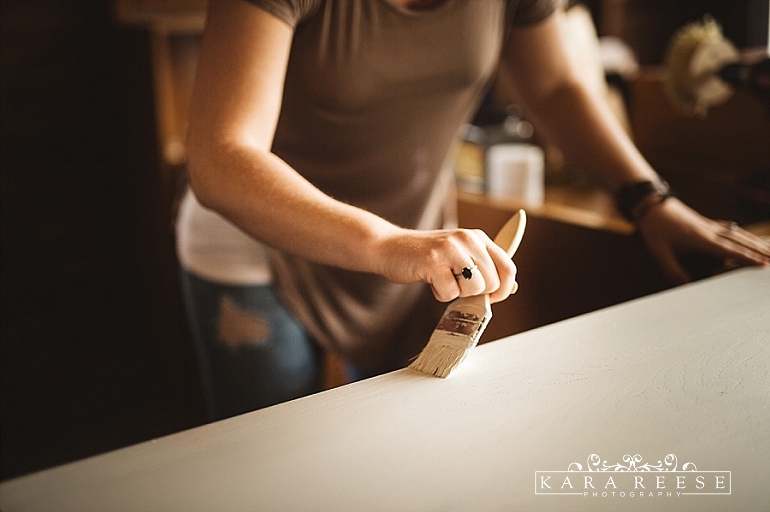 It can be dangerous… Paints can have some serious fumes and sanding furniture without a mask is a big no no. I learned that the hard way. When I first started I ended up with a 4 month long sinus infection that I feel was the result of operating in an unsafe way. I now paint with non-toxic paints that are eco-friendly and always sand with a mask. I’ve also fallen down carrying heavy furniture and have thrown out my back a couple times. One bad day is only a day. Never let that one bad day discourage you from having your best day tomorrow. I promise, there will be those days- especially in the beginning, where you will question yourself and have some doubts. But I promise, tomorrow is always a new day. Emily can be found on the web at www.naturalnifty.com, on Instagram @naturalnifty and on Facebook. Simply beautiful! The furniture looks great. I admire women who has talent in this kind of work. 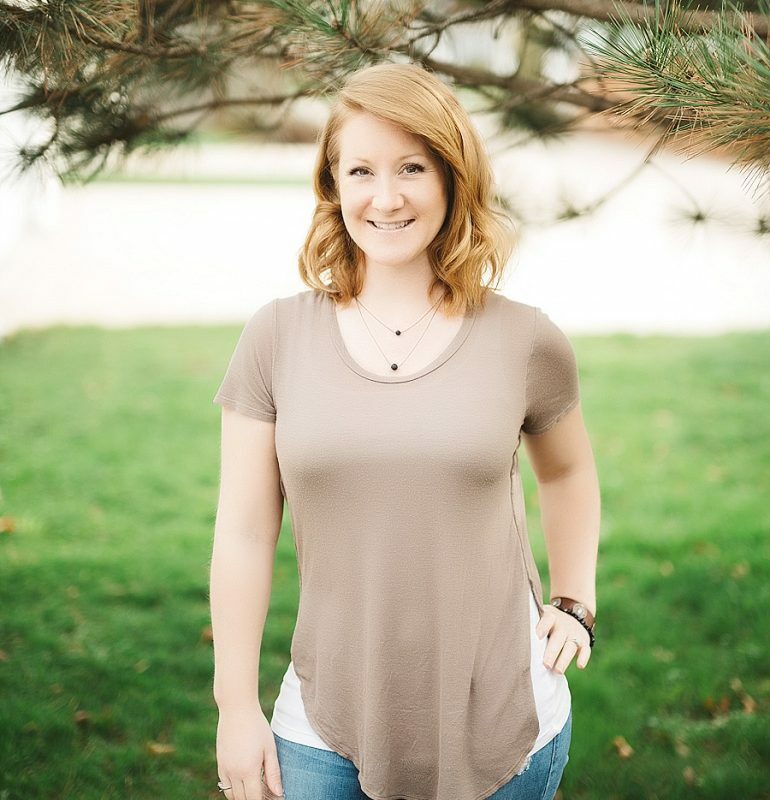 MEET KARA: I'm a Waukesha resident, and owner of Kara Reese Photography (located in downtown Waukesha by the Rotunda). 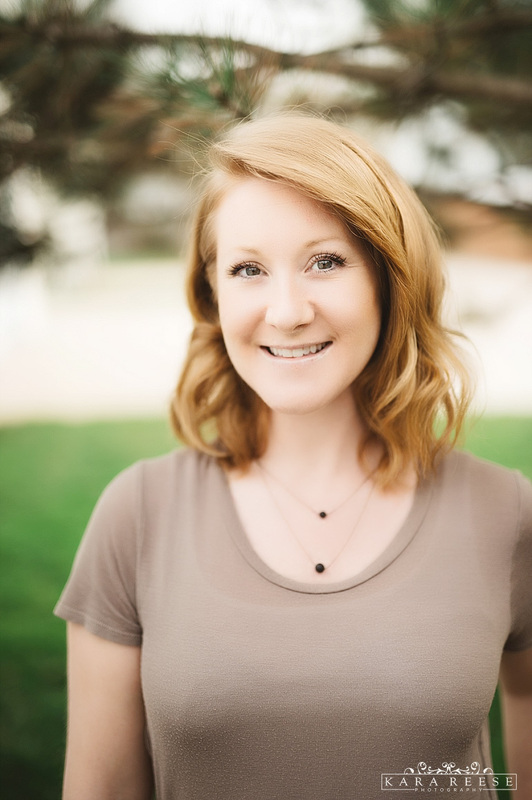 I started this blog to network with other small business owners in Waukesha, and to show off the people who make our corner of Wisconsin so fantastic!